When you go to St. Petersburg, the number of attractions can seem overwhelming. If you're short on time, or just want to make sure to hit the highlights, these are the must-see sights in St. Petersburg. Try to include them on your list of things to do and see in this unforgettable Russian city. 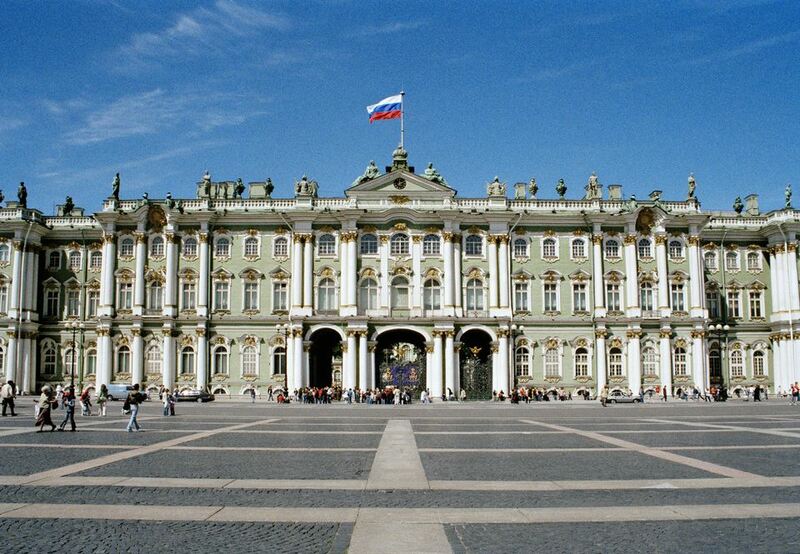 The Hermitage Museum is one of the most important sights to see for any visitor to St. Petersburg. Galleries upon galleries of old masters are located within the sumptuous interior of the Hermitage. Prepare to come face-to-face with classic Western artists, and be introduced to treasures from the East. The location of one of Russia's most famous historical prisons, the Peter and Paul Fortress is a definite must-see St. Petersburg sight. There is plenty to see at the Peter and Paul Fortress, including the Prison Museum and the Peter and Paul Cathedral. Purchase a ticket to see the fortress, and have access to most of the complex's attractions. The Catherine Palace, also known as the Summer Palace at Tsarskoe Selo, is part of a gorgeous complex of parks, guest houses, and the blue-and-gold palace itself. Visitors often feel astounded at how Russia's royalty once lived. Every inch of the Catherine Palace speaks of luxury. The interior of the Catherine Palace is open to visitors... lots of visitors. Peak tourist season may not be the best time to see the Catherine Palace, but even if you must go when crowds are high, this is one of St. Petersburg most amazing must-see sights. Another palace complex, Peterhof is as beautiful as it is fun. You'll be charged for admission, but go to Peterhof when the fountains are working - during the day in the summer (these are shut off in winter as well as in the evenings any other time). Gaining access to building interiors may require the purchase of more tickets. You may feel that visiting Peterhof is expensive if you want to view each of its components, but a trip to this playground of the tsars will be well worth it. Kizhi Island is an open-air museum of wooden architecture from the Karelia Region of Russia. These impressive structures are made entirely without nails - the wood fits together with joints and grooves. Most photographed on Kizhi Island is the 17th century Church of the Transfiguration, which boasts 22 onion domes in the Russian style. St. Petersburg was founded by Peter the Great to be Russia's "window to the West." That's why it may be surprising that St. Petersburg's Russian Museum holds one of the largest collections of Russian art in the world. View Russian art creations through the ages, from Byzantine-style icons to the Socialist Realism of Stalin's era. Love it or hate it, the Church of Our Savior on the Spilt Blood in St. Petersburg is an enthralling must-see sight. The exterior may satisfy your desire for sparkle, but the interior of the church will wow as well. The interior of the Church on the Spilt Blood is covered in mosaics that mimic paintings of famous Russian artists. While the entry fee might seem quite high (over 8 USD), you'll be glad you took the time to visit one of St. Petersburg's biggest draws. The so-called Bronze Horseman is a part of Russian culture and a symbol of St. Petersburg. Made famous by Alexander Pushkin, this statue of Peter the Great sitting astride his horse is representative of Peter the Great's impact on the Russian idea of greatness. The Bronze Horseman is placed upon the "Thunder Stone," which was dragged from far away and shaped to form the base of this memorial. The Lazarus and Tikhvin Cemeteries are where some of Russia's most famous artists, composers, and writers are buried. The memorials are beautiful and sometimes bizarre, so bring your camera. Boat tours in St. Petersburg will give you an hour of sightseeing while sitting down. There are two basic routes - one that takes you on the main Neva River, and one that takes you on the smaller canals and the Fontanka. By night or by day, boat tours in St. Petersburg will give you an overview of some of St. Petersburg's must-see sights.